A dewy moisture emulsion that promotes soft, glowing skin with berry extracts and sodium hyaluronate. 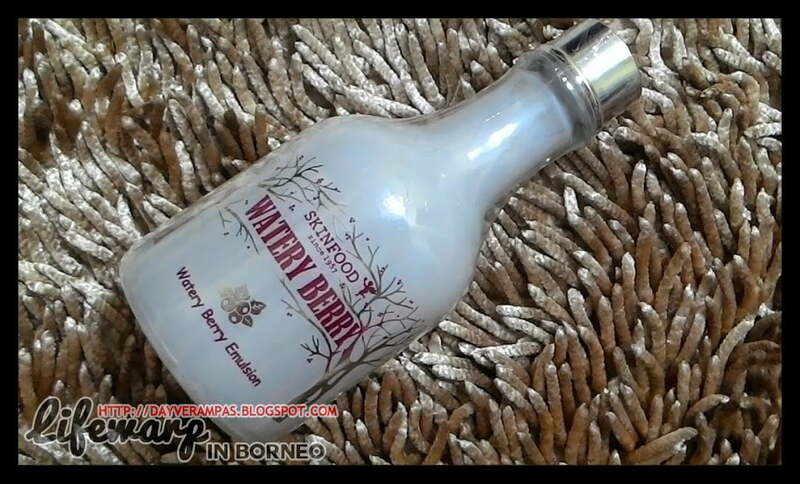 Watery Berry Emulsion contains three berry extracts – Lingon Berry & Articic Berry & Cloud Berry. Excellence at Antioxidant Activities against skin-aging. The Hyaluronic Acid transform dry skin into a soft, and glowing texture. The berries include cloud berries, lingon berries, raspberries provide superior antioxidant properties. It’s the most unique (and very appealing) packaging I ever had so far and I would definitely make it as part of my collection once I have finished using it. The white liquid has a light floral and berry scent, but it fades quickly. The texture is almost similar to Skinfood Royal Honey Emulsion except that this emulsion is more watery. I admit that the mild liquid texture absorbs quickly and does not leave behind sticky feeling. I love the rich moisture feeling, very nice. I have a combination skin as I have oily T-zone, and dry parts. 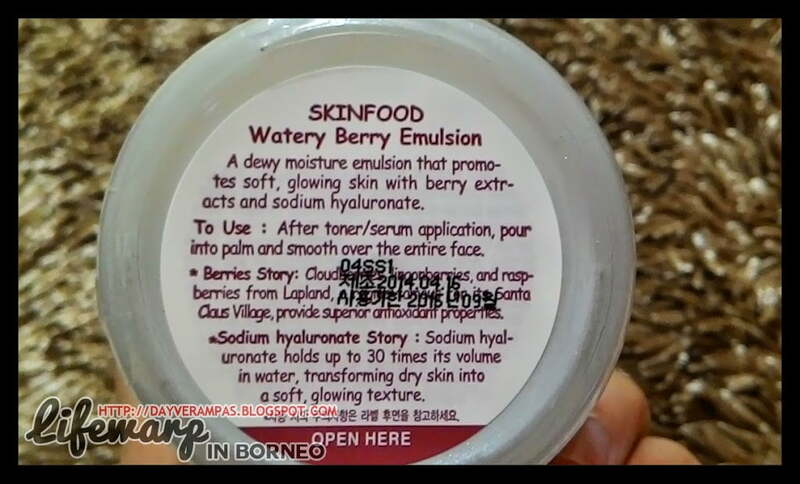 Yet, this emulsion is not moisturising enough for my skin. It does give a dewy finish look at first but then it leaves my skin a bit oily after a few hours. The bottle is very fragile as it’s made up from glass. Not really suitable for me as I’m looking for something that can ensure my skin is hydrated. I don’t see the glow after a few weeks of using it. Moreover, it’s pretty pricey, and I don’t think it fits with the results.